Helping health care practitioners reach their nutrition practice goals by sharing the truth about optimal health utilizing Standard Process whole food supplements and MediHerb herbal formulas. Welcome to SP Westcoast, Inc. Welcome to the "Success Portal". It was designed to provide YOU, the health care practitioner, the resources, education and support to help you reach your goals by helping more people achieve optimal wellness. There are downloadable tools, educational events ie. seminars, webinars, conference calls and study groups, to keep you informed and up to date about the happenings and latest news from Standard Process Corporate and SP Westcoast. 1. Assist their patients in obtaining optimal wellness with Whole Food concentrates and Herbal supplements. 2. Supplement their income by implementing nutrition in their practice. 3. Help their patients with weight management, remove toxicity and change their view of food. So the question is, Would you like help with any of these? If you said yes to any one or more of these and want to do something about it, we'd be happy to meet with you and see if we can tailor a program to your help you reach your goals. There is no obligation, we simply come out and find out what your goals are and see if we can help. Take the first step to see if you qualify by clicking here and tell us you'd like us to come see you and explore the possibilities. 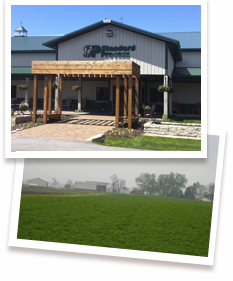 If you are uncertain about whole food supplements, or have used Standard Process for years, be our guest at the headquarters of Standard Process in Palmyra, Wisconsin. 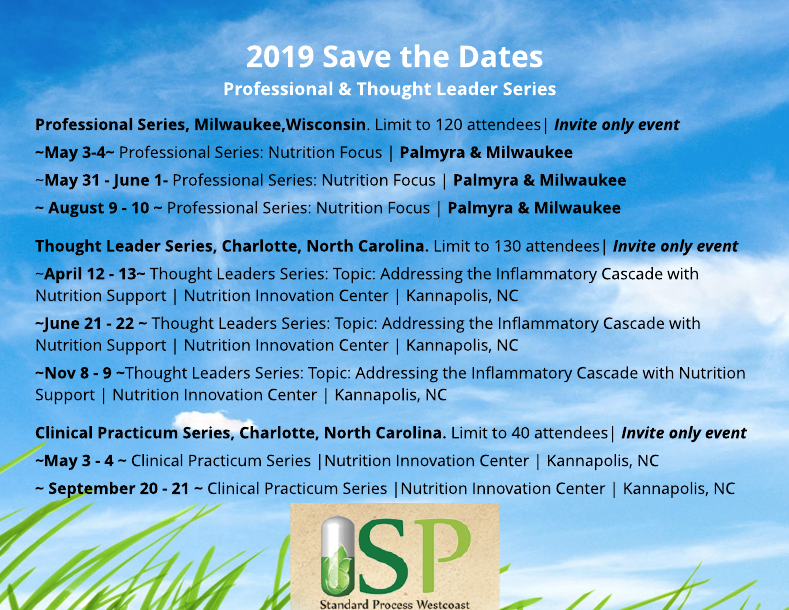 We invite you to this exclusive, complimentary 2-day event that will teach you the founding principles behind Standard Process whole food nutrition and how to use SP core products in your practice. This will make it easy for you to begin helping your patients achieve optimal health through the use of whole food nutrition.